Greg Burke has joined Salford on a permanent basis for the next two seasons. The 25-year-old arrived at the Red Devils in June on loan from Widnes Vikings until the end of the season. Burke scored on his Salford debut to help his side beat Widnes and he has now signed on a permanent basis. 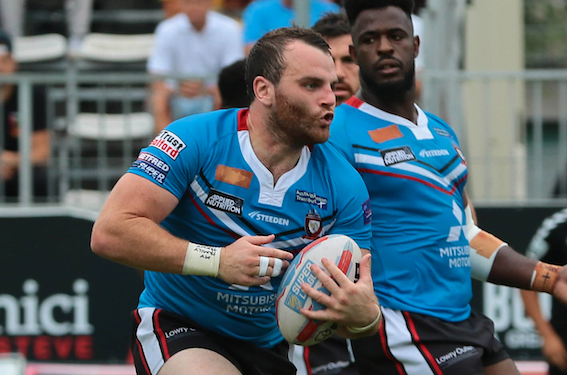 On the permanent signing of Burke, Salford coach Ian Watson said: “Greg has been a big asset for us in the short-term. “He impressed on his debut against Widnes, playing big minutes and crossing for a great try. “He’s a mobile forward with great ball handling skills and a tough defensive mindset. While Greg has been sidelined, he has knuckled down and through his dedication, alongside our fantastic strength and conditioning department, has gotten himself in fantastic shape which will show on his return to the field. Burke has made over 100 career appearances.